Oregon State University (OSU) Student Health Services reported Monday that a undergraduate student at the OSU Corvallis campus is being treated at Good Samaritan Regional Medical Center for meningococcal disease. Medical personnel confirm that meningococcal disease is uncommon. It is caused by bacteria present in the throat or nasal passages of about 10 percent of the general population. 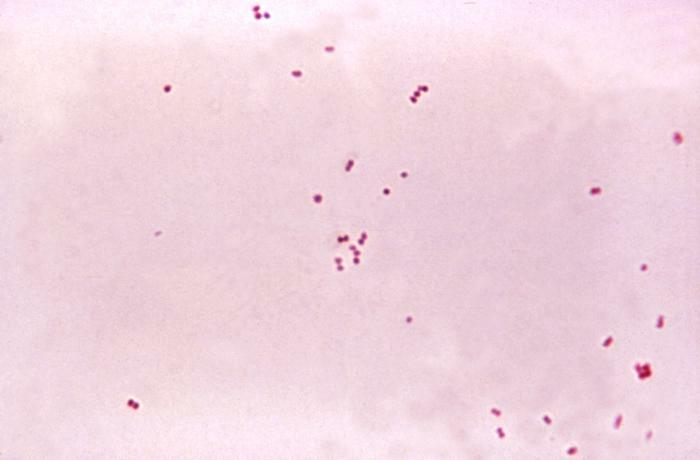 Most people can carry the bacteria and never become ill. The disease is not highly contagious and is transmitted through direct contact with droplets from an ill person coughing or sneezing; other discharges from the nose or throat; or by sharing of eating and drinking utensils, smoking devices; or intimate contact. Symptoms of the disease include high fever, headache, diarrhea, vomiting and other gastrointestinal discomfort and stiff neck. Some people do not get meningitis, but they contract an infection of the bloodstream, which causes high fever and a rash. This rash develops rapidly and usually appears on the armpits, groin and ankles, as well as in areas where elastic pressure is applied. The Benton County Health Department is working with Oregon State University officials, local medical providers, state public health officials, as well as friends and family of the patient to identify anyone who may have had enough close exposure to require preventive antibiotic treatment. As of Monday morning, 130 individuals have received preventive treatment. Since the disease is not easily spread from one person to another, health officials believe only a limited number of additional people will be identified as needing preventive treatment at this time. County health officials said customarily individuals, who have spent at least four hours cumulatively in close, face-to-face association with a person suffering from meningococcal disease within 7 days before the illness started, are at risk of catching meningococcal disease. If you are experiencing these symptoms, please immediately visit your primary care physician, OSU Student Health Services, or a nearby urgent care medical clinic or emergency room. In the case of the OSU student, symptoms first appeared on Saturday, Nov. 12. School classmates, those living in nearby residences, healthcare workers attending the case, and those who have had only social contact are generally not at risk. Providing vaccines to children and young adults. Preventing respiratory tract infections by receiving an influenza vaccine and avoiding close contact with people with coughs and colds. Not sharing cups, water bottles, eating utensils or smoking devices. Not smoking tobacco or marijuana. Studies have shown that smokers are 3-4 times more likely to contract the disease. Not letting children be exposed to second hand cigarette smoke. Vaccination against meningococcal disease is recommended for all children 11 to 18 years old. Oregon State University requires incoming students under the age of 22 to be immunized with the quadrivalent vaccine, which protects against 4 strains of the disease. OSU Student Health Services and most other health care providers have an additional vaccine on request that protects against one other common strain of meningococcal disease, strain B. The last case of meningococcal disease in Benton County was a single case reported in May 2014.